Ohio State University has sold its TV channel WPBO for $8.8 million in the FCC’s broadcast spectrum auction. WPBO in Portsmouth serves southern Ohio and a western portion of West Virginia. 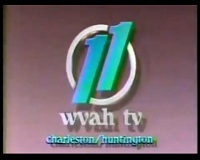 It overlaps with WOUB in Athens, Ohio; WCET, Cincinnati; WKAS, Ashland, Ky.; and WVPB in Huntington, W.Va. The station also overlaps with WOSU in Columbus, another OSU licensee, which will not be affected. In a university announcement Friday, Tom Rieland, GM of WOSU, said the station would work with America’s Public Television Stations and PBS to ensure that viewers in the affected markets continue to receive public television content. Some 95 percent of those households get that programming from satellite and cable providers. Rieland told Current that all proceeds will stay with WOSU. The station is designing a new headquarters at the university as well as expanding student internships, including a Diversity Student Fellowship Program that started last year. The money also could bolster university-based local content and emergency and educational content on mobile devices through the upcoming ATSC 3.0 protocol, Rieland said. Part of the proceeds also will go to WOSU’s endowment fund, according to the university. WPBO’s opening bid was $138.6 million in the auction, which the FCC conducted to free up spectrum for wireless service providers.